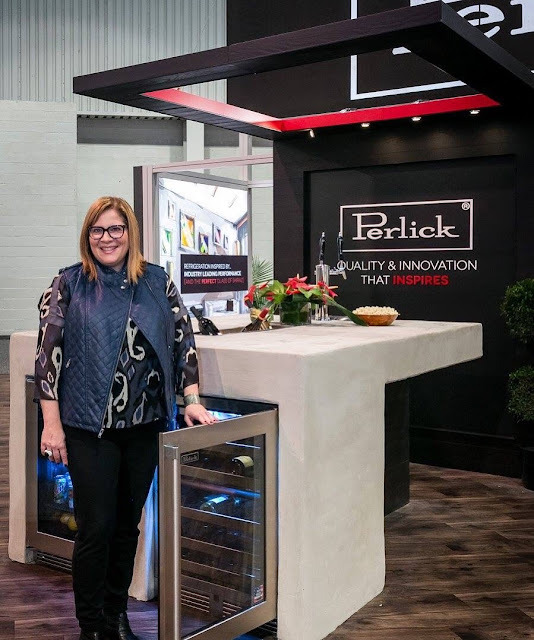 Last year, I entered into a competition called the #HowdoyouPerlick Bar Design Competition for the 2016 KBIS show. My submission, the CHARRED bar, showed a modern concrete outdoor entertainment island featuring a trough sink in the center for chilling beverages on ice. I was considered one of four finalists and the design came to life! 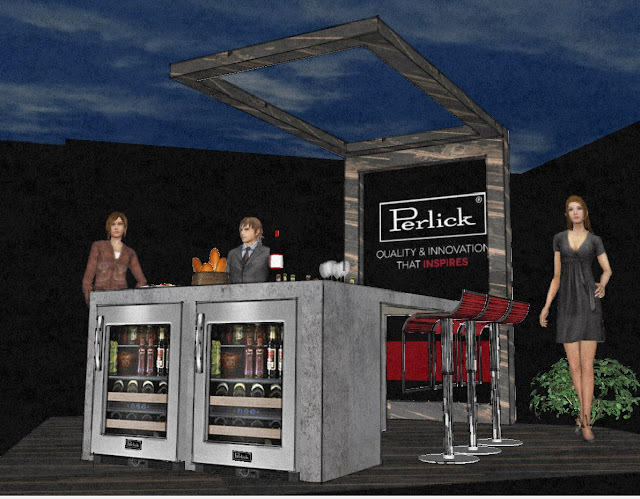 Perlicks undercounter refrigeration was front and center with the beer tap dispenser at the back of the island too! The CHARRED bar design is when man-made concrete design and an artisanal Far East tradition intersect. The fusion for this outdoor space highlights Perlick’s innovative beverage system and under counter refrigeration. Inspired by the Japanese process called Shou-Sugi-ban, the design features dark charcoal Stikwood planks emulating handcrafted, aged burnt wood. The distinct wood grains adds warmth against the sleek concrete table lines. This symbiotic relationship makes a bold statement and draws the individual into this enticing Perlick space. Ready for some wine or beer?